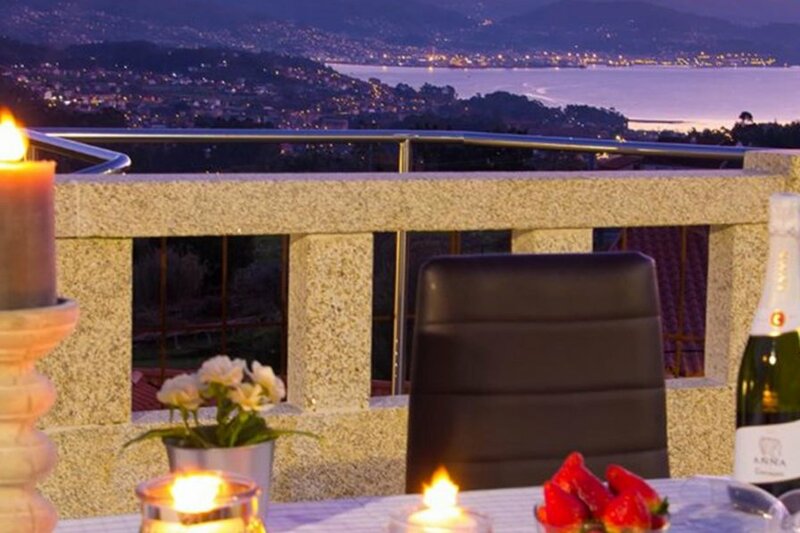 This beautiful stone house has a modern interior and a beautiful view of the sea and on the Ria of Pontevedra. On the first floor is the kitchen, the living room with fireplace and sofa bed, a bathroom and a bedroom with a sea view. From the kitchen you have access to the garden, parking space and the stairs to the second floor. Here are 4 bedrooms each with their own bathroom and TV. From this floor there is also access to the garden with barbecue. In the highest part of the garden is the salt water swimming pool with beautiful views, sun loungers, parasols and a shower. The house is situated in a beautiful natural environment near Poio and the beautiful historic fishing village of Combarro. Ideal for a few days of disconnection and relaxation. The area offers many alternatives for lovers of nature and outdoor sports. It is a great base to explore the beautiful beaches and villages of the Rías Baixas, Galicia and the north of Portugal.